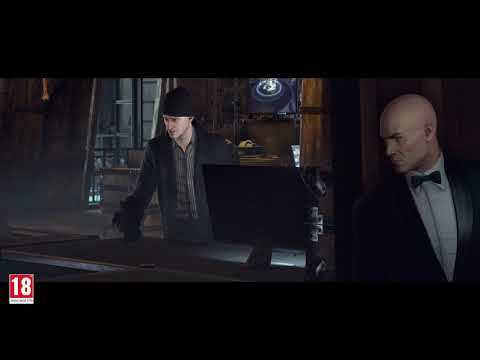 Warner Bros. Interactive Entertainment and IO Interactive have released the HITMAN 2 ‘Holiday Hoarders’ seasonal event, a holiday-themed mission that pits Agent 47 against two dastardly thieves, Harry “Smoky” Bagnato and Marv “Slick” Gonif, who have infiltrated a Paris fashion show and are stealing presents. The Holiday Hoarders time-limited mission is available today (18th Dec) through 8th Jan within Paris (France) location, which is part of the HITMAN Legacy Pack. HITMAN 2 owners who do not already have the HITMAN Legacy Pack can download and enjoy the full Holiday Hoarders content for FREE throughout the duration of this special event. Downloading the Holiday Hoarders mission grants access to new festive items and a “Secret Santa” Challenge Pack that allows players to permanently unlock the fan-favourite “Santa 47” suit for use in all HITMAN 2 locations. It’s now up to Agent 47 to stop the menacing hoarders and save the holiday before it’s too late. Additionally, a new game update is available for HITMAN 2 today, including a host of new improvements, new content, new Challenges and new Contracts. Please note, while the Santa 47 suit can be permanently unlocked for use in all HITMAN 2 locations, the Holiday Hoarders mission and Paris Legacy Pack location trial will expire on 8th Jan when the seasonal event ends.